A 50-year-old woman presents for evaluation of an intensely pruritic rash in her armpits that she first noted 2 months earlier. A 39-year-old African American man presents with a 5-month history of a pruritic rash on his back that appear to be growing and spreading. 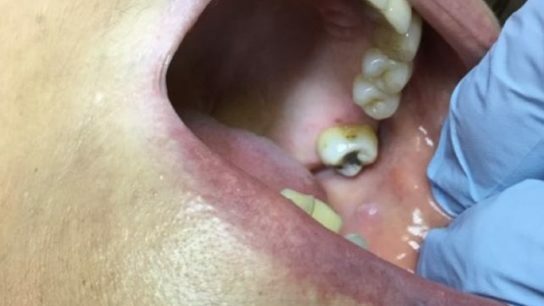 A 76-year-old woman presents for evaluation of a bothersome lesion of the left buccal mucosa that has been present for approximately 2 weeks. Relapse reported to be a significant determinant of productivity loss and absenteeism. A 52-year-old man presents with psoriasis of longstanding duration as well as erythematous, scaling plaques and pitting of all nails. 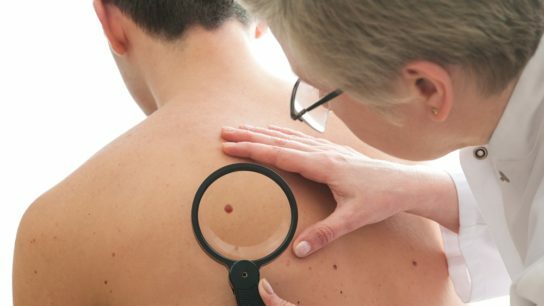 A 46-year-old man presents with a rash on his back and chest following a trip to the Dominican Republic where he spent ample time outdoors. Management is generally in a stepwise manner, including moisturizers and avoiding triggers. Worse survival in states with more physicians; higher death rates in states with lower incidence. A 63-year-old man presents with a swollen, tender lesion on his lower lip that has been present for 5 days.